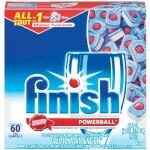 Finish Powerball Tablets for $3.52 shipped! You are here: Home / online shopping / Finish Powerball Tablets for $3.52 shipped! 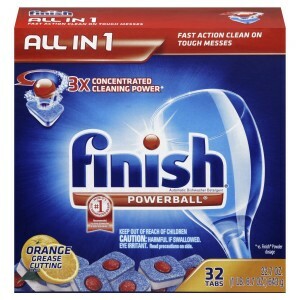 Score an AWESOME deal on Finish Powerball Tablets! 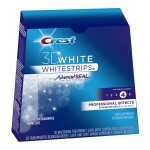 Get a 32 count box of tablets for just $3.52 shipped! 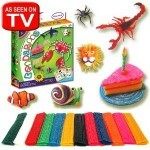 This is a GREAT deal and I love these! 2. Scroll Down and “Clip” the $2.15 coupon (it shows up under the payment information). You must be logged in to your Amazon account to view this coupon. 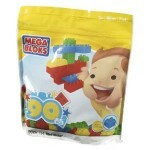 The coupon is one time use per account and coupons do not typically show up on mobile devices. 3. Choose a Subscribe & Save delivery schedule from the blue box on the right. You can cancel Subscribe & Save at any time after you receive your order. You will also receive a reminder e-mail before your next shipment and you can cancel at that time. You can save even MORE if you order 5 or more Subscribe & Save items in one month! 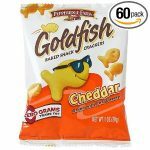 Amazon Mom members get 20% off and everyone else gets 15% off! Here are some items I include in my monthly Subscribe & Save deliveries: you’ll pay just $2.92 shipped if you have 5 items and Amazon Mom! 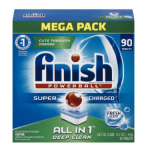 Amazon Subscribe & Save Deals: Barilla, Finish & more!